There are about 10 million people living in Chad. Majority of the population live in the rural areas while only about a quarter reside in the urban areas. Chad's inhabitants are made up of over 200 ethnic groups, each of them with distinct cultures, languages and social structures. The major ethnic groups are the Saras, the Arabs, the Sahels and the Toubous. The Arabs are primarily nomadic and has had such influenced among the local communities that Arabic is now a major language in the region. Chad has a young population, with about 47% of its people under the age of 15. The Republic of Chad is nestled in central Africa. It shares borders with Libya, the Central African Republic, Cameroon, Nigeria and Sudan. It earned the nickname 'Dead Heart of Africa' because of its location and its hot, dry desert climate. However, it does have a fertile zone, found in its savanna in the southern region. Chad is named after the eponymous lake that is one of the largest wetlands in Africa. 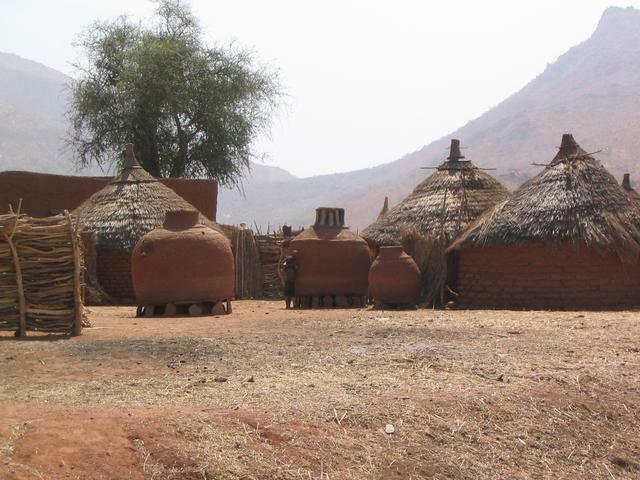 Chad is a country with a long history and thus has high archeological and cultural importance. The physical makeup of the land has changed over thousands of years but it has remained a fascinating and mysterious place, particularly in the heart of the Dark Continent. Today, the country is enjoying promising economic potential due to the discovery of oil in the region. It is also a must-see for many tourists looking for adventure and the opportunity of discovering the matchless loveliness of this landlocked country. 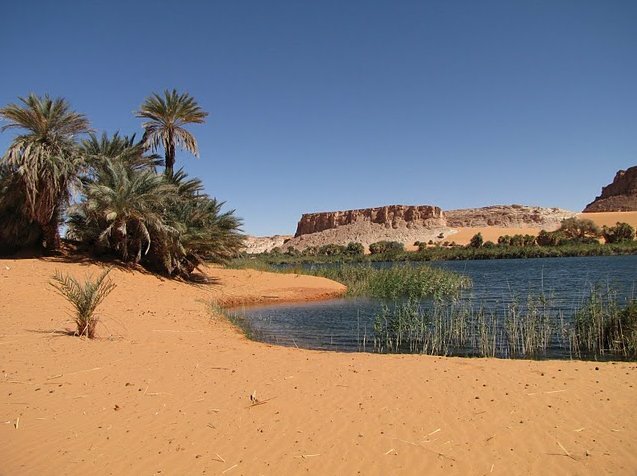 Chad is a land with varied terrain characteristics. The northern area is a desert while the northwestern region is mountainous. The south is primarily low-lying while the center is wide, arid, and flat. This is a large country, with over 1.2 million sq. km. of land. Temperatures vary depending on the region, although the country generally has a desert climate. The wet season comes in May and lasts till September or October. Precipitation also varies depending on the geographical zones, with the driest areas receiving less than 2 in. of rain each year and the wettest areas receiving about 35 in. a year. Chad has been inhabited for as far back as 7000 BC, when people settled in the Chadian Basin and turned to agriculture for subsistence. The earliest groups were known as the Sao, who later gave way to the first empire, the Kanem. This empire, along with succeeding empires, maintained control of the trade routes that passed through the Sahara. In the early 1900s, Chad became a colony of France, making the country a source for cotton and workers. Chad gained their independence in 1960. Chad has had its share of political turbulence in the past, especially under autocratic and dictatorial rule. France and Libya also tried to gain control. Rebellion caused the end of France's grip on the country but tensions with Libya continued as territorial dispute regarding the Aozou Strip remained. Libya's claim was later withdrawn. With democratic elections, call to ceasefire and prisoner amnesty, Chad has still to gain economic progress but it has slowly achieved relative peace and stability. The busiest days of the week for a high octane nightlife in Chad are Saturdays and Sundays, when the locals come out to dine, socialize and entertain. The most exciting places in Chad are those found in the urban areas, although there are many pubs, bars and nightclubs scattered across the country. First-time tourists, however, prefer the urban centers because of their proximity to major facilities. N'Djamena is the center of some of the best entertainment in the country. Live performances are frequently available here, particularly those playing local music. There are also many bars here that are managed exclusively by women and are open 24 hours daily. The predominant religion in Chad is Islam, a religion practiced by about half of the population. About 20% are Catholics and 14% are Protestants. A smaller percentage is animists, atheists or not affiliated with any religious groups. Most Muslims reside on the eastern and northern regions while Christians live predominantly in the northern areas. Chad has two official languages: Arabic and French. These languages are frequently used in business, especially Arabic, which is widely spoken in many local communities. However, with the wide diversity of cultures, religion and ethnicity, there are in fact more than 100 languages spoken throughout the country along with several dialects, depending on the region. A staple of the Chadian diet are grains like sorghum and millet. A common dish served is alysh or biya. This is made with ground millet, formed into balls and served with dipping sauce. A favorite breakfast fare called fangasou is made from millet. Another breakfast or snack fare is fried pancakes made from millet flour. 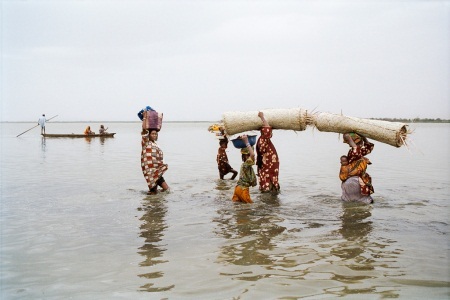 Fish-based entrees are common since Chadians frequently use the day's catch right away. Dried and salted or smoked fish are often served with rice. Common fish types include tilapia, carp, Nile perch, eel, balbut, banda and salanga. Meat is sourced from sheep and cattle. In the north, chicken is often served, thanks to a good number of poultry raisers in the region. A favorite beverage is carcaje, which is made from hibiscus leaves extract and sweetened. Millet beer is served in the southern region but is not found in northern areas. Beer made using white millet is called coshate while red millet beer is called billi-billi.